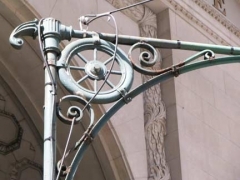 While walking uptown during Summer Streets 2010 I passed by two of New York City’s most picturesque relics at Park Avenue and East 46th, at the tunnel that takes the Park Avenue Viaduct through the Helmsley Building. 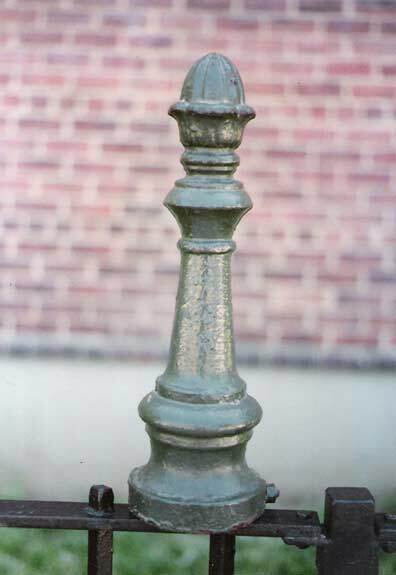 On both sides of the street, you find two picturesque Corvington-esque light posts, but instead of a streetlight attached to the end of the arm, there’s a standard red-yellow-green stoplight. 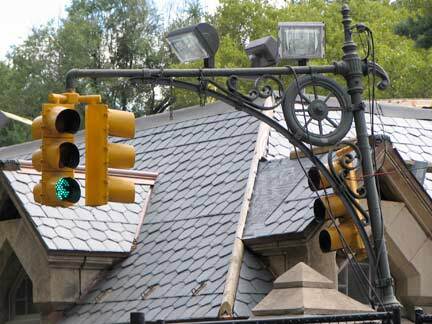 The amateur NYC lamppost buff might conclude that a standard Corv had its lightbulb removed and a stoplight appended. 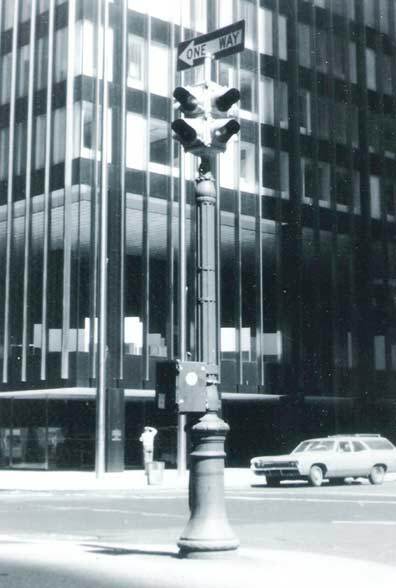 These, though, were actual streetlamps designed specifically to carry stoplights. LEFT: the first stoplights in New York city appeared in December 1922 on Fifth Avenue and were designed by Joseph H. Freedlander. 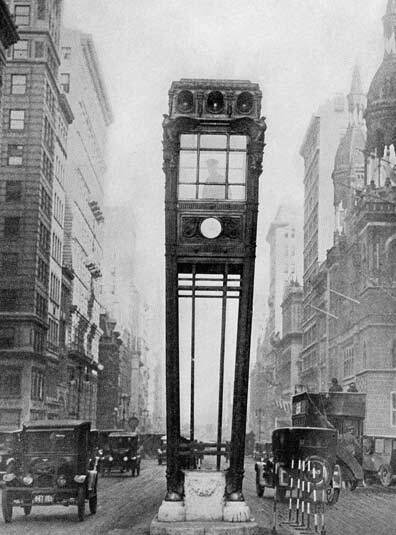 They were seven large towers positioned in the center of the avenue and were manually operated by a police officer seated in the tower. 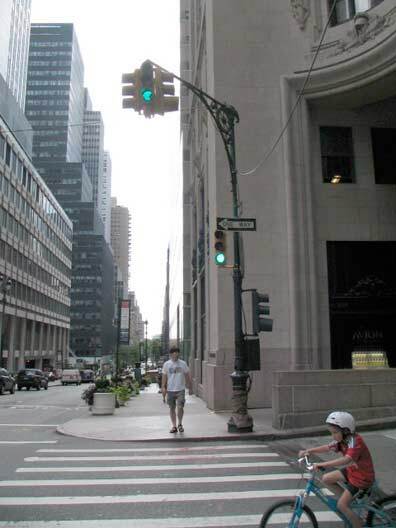 Freedlander later designed the individual stoplights, each bearing a 17″ statue of the roman messenger god Mercury at their apices (RIGHT), that could be found in pairs on each corner of 5th Avenue from 1931-1965, after which 5th Avenue’s Donald Deskey twinlamps made their appearance. 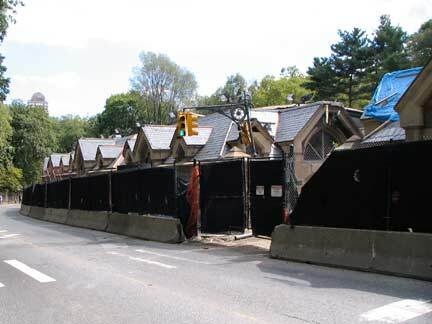 Note the magnificent Temple Emanu-El in photo left in this view looking north from 42nd Street. That building stood from 1868-1927. 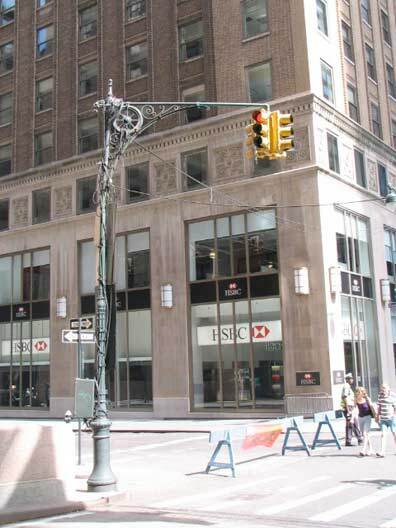 The congregation moved to a new building at 5th Ave. and 65th Street in 1929. 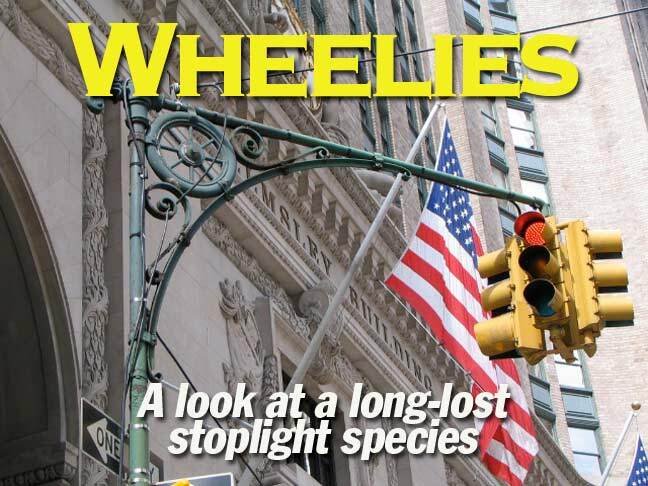 In 1924 the first “wheelie” stoplights appeared. 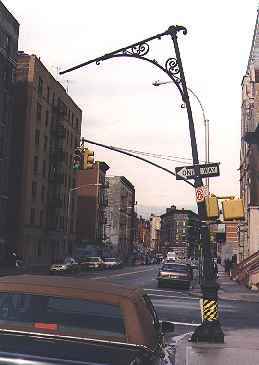 These lights, used on important corners in busy traffic areas, had a design based on the longarmed “Corvington” streetlamps, but with some adjustments made. 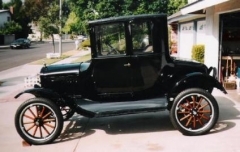 The shafts were thinner and grooved, and most importantly, the scrollwork featured a stylized automobile wheel, of the type that was current at that time, such as the 1924 Ford shown here. 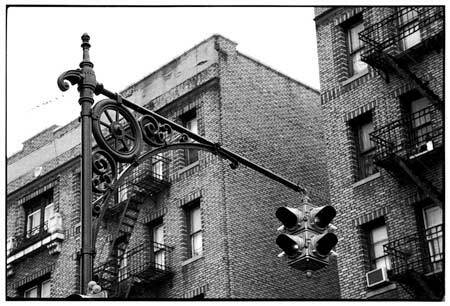 Here I have some “Wheelie” stoplights that survived until recently; 2nd and third from left (photo: Matt Weber) is a Wheelie that survived well into the 1980s at Edgecombe Avenue and West 138th in Harlem. It deteriorated gradually (above right photo: Bob Mulero) until when I found it in 1999, just its stump remained, holding a pair of WALK/DONT WALK signals. That, too, is now gone. The two photos on the right show a shorter Wheelie post near the Central Park Precinct on the 86th Street Transverse Road deep in Central Park. The Precinct is undergoing seemingly endless renovations and this post must be landmarked — if not it’d surely be gone by now. As it is, it’s listing to one side. Left: In 1969, future photographer Matt Weber stands in front of one of the many thousands of “olive” stoplights used at less trafficked corners, like this one at Broadway and West 87th. This one also has the control box in which the lights were changed automatically. Olives first appeared in the 1920s and, for the most part, didn’t disappear until the 1980s. 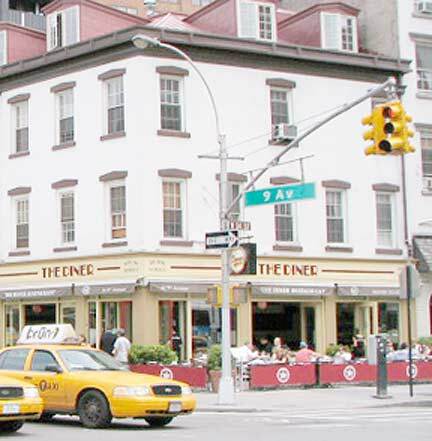 When I began FNY in 1999 there were still some Olives around, but by 2010, only a few remain in Central Park. This brings us to the two Wheelies still guarding the Park Avenue Viaduct ramp at the Helmsley Building. 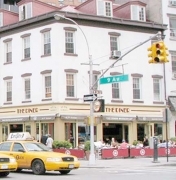 In mid-2010 they were in somewhat sorry shape, as Park Avenue undergoes a rewiring to replace its system of just one stoplight in the center median controlling traffic. 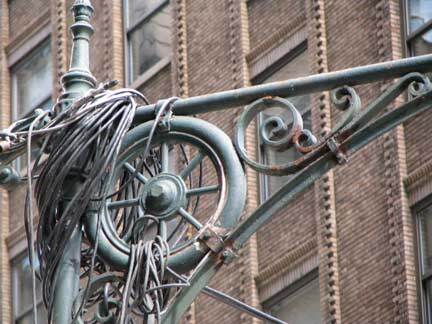 Thus, they were called upon to support the extra wiring necessary during the renovation work. 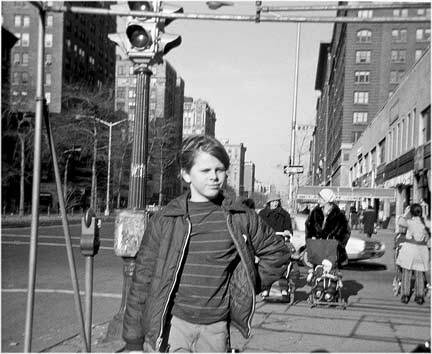 It was Saturday in the spring of 1974 when I witnessed the red & green traffic light being replaced by the red, yellow & green traffic light. Apparently the mast traffic light on the south east corner of Park Ave. & East 46th St. finial was removed because of the wiring and the finial could not be restored because there was a crack. I asked the worker if I can have the finial, and he gave it to me. 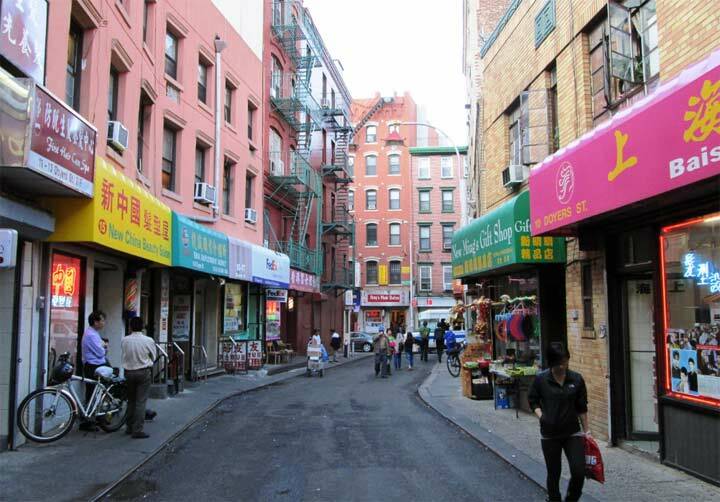 I took it to where I used to live (Ave. D & E.12th St. in Manhattan). 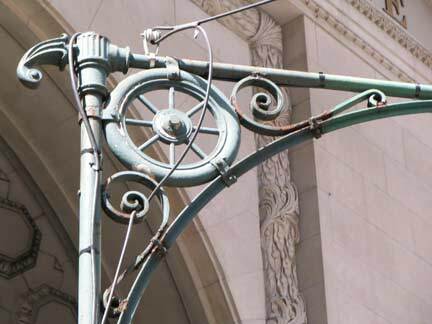 Unfortunately, the present location of the finial is unknown.